Metro Vancouver and B.C. 's South Coast woke up to snow in the ground for the first time this season. 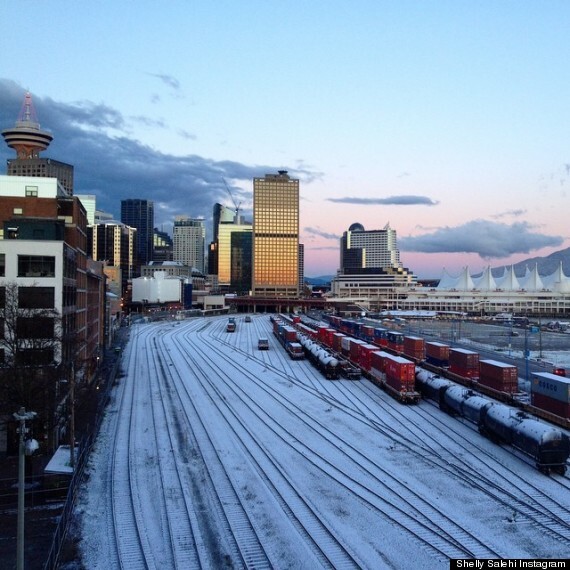 About two to five centimetres of the white stuff fell in the Vancouver area. 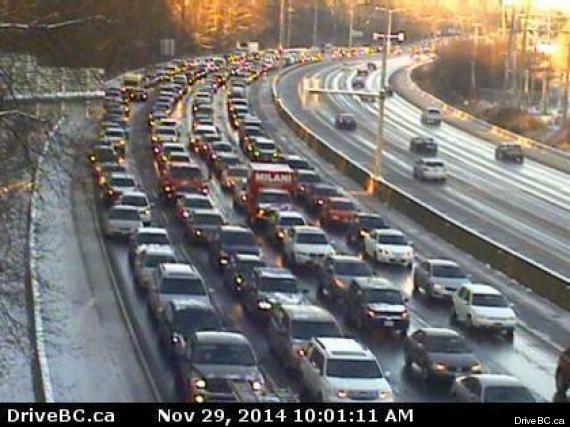 A multi-vehicle crash closed the eastbound lanes on the Trans-Canada Highway near Gaglardi Way in Burnaby on Saturday morning, backing up traffic. Snow and ice are also being blamed for several crashes including Highway 99 at Highway 91 in Delta which was shut down for a few hours, reported CBC News. ​Arctic outflow warnings — when wind chill values of up to -20 degrees Celsius are possible — are in effect for the Eastern Fraser Valley and Whistler. On Friday, Vancouver's Seawall was closed between English Bay and Lumberman's Arch after high winds sent waves and logs onto the walkway. Crews repaired some damage to the pathway and reopened it on Saturday.